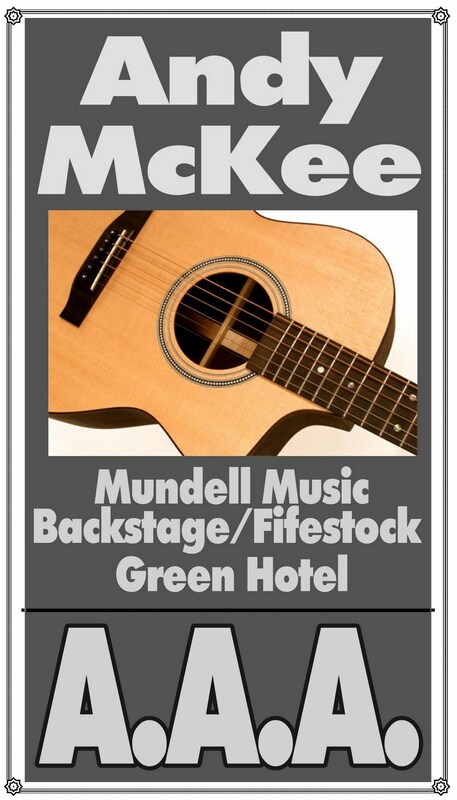 If David Mundell’s Backstage at the Green Hotel space was in London, its promotions would probably feature in the national press’s review pages daily. It’s an intimate room but with a capacity that makes it viable for bands as well as solo artists. It’s an ideal place to hear YouTube sensation Andy McKee (right) , who has a winningly self-deprecating way with his audience and makes the room feel even more intimate. McKee acquired an enormous following when videos of his fluidly able acoustic guitar playing appeared on the internet. One, featuring his aptly named Drifting, is approaching 40 million hits. He has benefited from advances in acoustic guitar technology and the work of players such as Girvan’s own Preston Reed and the late Michael Hedges. He can play percussively like Reed, setting up drum rhythms and with both hands poised, pianist-like over the strings, although more often he uses conventional picking, tapping and hammering-on techniques. What he does is undoubtedly impressive, including instrumental covers of Toto’s Africa and Tears for Fears’ Everybody Wants to Rule the World, and his three guitars, including the ultra-rich baritone model, sound beautiful. But while Ebony Coast’s songlike progression and Into the Ocean, played on his “harp guitar” (a six-string with added bass strings that are plucked rather than fretted) hinted at something deeper, a greater sense of structural development and more – dare I say - soul in his compositions would be welcome additions to his musical accomplishments. Ian McNabb sings 50 songs over two nights!